In this installment discussion continues regarding the Partial Assignment of Developer Rights, Resolutions and Policies which include Fining and Collections created by the board after turnover and the authority of the Architectural Control Committee (ACC). If the unit you live in has not voted, or you have not been allowed or provided an opportunity to vote for or against changes to your unit restrictions and covenants, they cannot be re-written or enforced by the board or any other entity, like the ACC. They also cannot be re-written at any point in time, but only during their rollover dates according to the verbiage contained within each unit’s restrictions. To further validate this point Texas Property Code – Section 209.004 (h) states that the dedicatory documents (deed restrictions and covenants) can only be changed by an affirmative vote of 67% of the owners of each unit. This percentage would apply if we didn’t already have an existing statement for dedicatory documents to be changed in our unit verbiage. Three different legal firms were consulted during the process of reviewing the above referenced documents to assess the validity of these statements. Attorneys from all three legal firms responded in agreement with the same thing. If it isn’t in the original deed restrictions (the dedicatory documents which run with the land and that you receive in your title documents to your property when you purchased it) these “created after the turnover” resolutions and policies cannot be enforced nor can the property owners be bound by them. They may be recorded but they are not legally binding against our properties according to the consultations provided. PARTIAL ASSIGNMENT OF DEVELOPER RIGHTS (also known as “turnover). To see the Partial Assignment of Developer Rights, click here. The Partial Assignment of Developer Rights gave the property owners of Timberwood Park the right to management their assessment fees as outlined in our deed restrictions under Paragraph 8. This was originally controlled by our developer until “turnover” occurred and as part of the turnover process, the document known as Partial Assignment of Developer Rights was created. An assessment of $_____ annually per tract owner (which may be paid semi-annually or annually), shall run against each tract in said property for the use and maintenance of parks and operating costs according to rules and regulations of Seller. The decision of the Seller, its nominee or co-signee with respect to the use and expenditure of such funds shall be conclusive and the Purchaser shall have no right to dictate how such funds shall be used. Such assessment shall be and is hereby secured by a lien on each tract respectively, and shall be payable to the Seller in San Antonio, Texas, on the 1st day of June each year, commencing June 1, ______, or to such other persons as Seller may designate by instrument filed of record in the Office of the County Clerk of Bexar County, Texas. In cases where one owner owns more than one (1) tract there will be only one (1) assessment for such owner. Provided, however, that if such an owner should sell one or more of his tracts to a party who theretofore did not own property, then said tract or tracts so transferred shall thereafter be subject to the lien provided herein. Seller shall have the option of increasing said assessment on an annual basis but in no case should assessment increase by more than 10% in any one year. Paragraph 8 of our deed restrictions pertains to the assessments collected to manage our development. Note that this assessment is secured by a lien on each tract of land. Collection process states the assessment is due the 1st day of June and the 1st day of January each year in some units or annually/semi-annually in others, varying depending on the unit in which you live. The only mechanism for collection mentioned in this paragraph is via lien. As a product of turnover, documents were generated to create policy which did not previously exist in our unit deed restrictions. The current collection policy, written after turnover contradicts what is in your unit’s deed restrictions, can be found by clicking “here”. The difficulty with this document is it was created after turnover, and does not follow your unit’s deed restrictions. Deed restrictions are the primary documents which declare what can or cannot be done on, or to your property in a development. Typically, in a development, additional support documentation is produced forming additional governance and requirements, but that is not the case in Timberwood Park. We have unit by unit deed restrictions, along with the agreement to form an HOA serving the good of all property owners, but little else was recorded and structured as part of our original development running with the land. According to our deed restrictions arrears assessment fees are secured by lien which means they can by collected if a suitable/mutual arrangement is made between the HOA and the property owner involved, or in the alternative, it cannot be collected unless the lien for it is satisfied which typically occurs when a change of ownership occurs or a financial change to the property occurs, like someone taking out a mortgage, a refinance, or some other transaction which is secured by the land and where title must be cleared in order for the transaction to occur. There is not a “collection policy” written into our original governing documents to ownership of our property. Have you incurred/paid collection fees to the HOA and/or Spectrum? As with the above referenced discrepancies and inconsistencies, there is no fining policy set forth in our deed restrictions, nor do our unit deed restrictions allow for such a policy. The category of income on our financials “Fining Income” is made up of property owners who have been fined for a “violation” or some other infraction which may or may not be enforceable according to our deed restrictions. Have you incurred/paid a fine to the HOA and/or Spectrum? RESOLUTIONS/AMENDMENTS TO OUR MANAGEMENT CERTIFICATE. To see the resolutions filed by the board since turnover, you will need to see all 7 of the existing “Amendment to Management Certificates” where the board filed amendments to documents which were created after the turnover and attached them to the Management Certificate. These documents added our unit restrictions as an Exhibit attachment to the document stating the document was binding to purchasers, successors, heirs and/or assigns. The documents are extensive but as an example, Amendment 3 to the Management Certificate for Timberwood Park Owners Association, Inc. can be found by clicking here. None of the amendments were voted on by property owners as is required by our deed restrictions to amend any unit restriction. According to each unit restriction within Timberwood Park (and there are 64 units – all of which you can find clicking here “…. unless and until the majority of the then property owners of each unit have voted by majority to change those unit restrictions, they cannot be changed.” This applies unit by unit, not one blanket principal for the entire development. Depending on the unit, some restrictions run for 10 years automatically renewing again for 10 years, some 25 years then automatically renewing, some 20, etc. and each unit is specific. An additional statement was added at the end of paragraph 4 of the Partial Assignment of Developer Rights when it was written stating architectural rights are also assigned stating in part “….and to exercise architectural control over the construction of improvements.” Where in paragraph 8 of our deed restrictions does it grant the board the right to exercise architectural control? As has been said in the previous 3 installments, it is up to you, the property owner to decide whether your development is being managed properly and in accordance with your unit’s restrictions. Running an HOA is not just about social activities and events held in our park which of course everyone enjoys. Running an HOA entails day-to-day knowledge of the business end of the organization and being responsible for decisions made which impact property owners. The HOA board should represent property owners fairly and equitably as a whole and in doing so provide open transparency when writing documentation which it believes it can enforce against property owners. Further, our unit deed restrictions require a vote to make ANY change to them. Good management of the neighborhood further recognizes that the property owners should be consulted, included and polled on a regular basis for any planned improvements to our common areas, large expenditures which may or may not impact current and future assessment rates and for any CHANGES TO OUR OPERATING/GOVERNING DOCUMENTS! Installment #1 – Financial review and resulting discrepancies showing inconsistencies with expenses versus the financial statements the property owners see for the years 2014-2016. While answers have been requested for these inconsistencies, much of them remain unanswered. Installment #3 – Disenfranchisement of the Villas of Timberwood Park. The next board meeting is August 1, 2017 at 7 pm in the clubhouse. Come ask questions! Next HOA board meeting is Tuesday, August 1, 2017, 7 pm at the clubhouse! As previously presented, installment 1 and 2 presented information directly from the audit detail provided after a concerned property owner requested to audit the HOA books. When the audit was requested initially, it was done according to guidelines outlined in our by-laws and state property code. During the initial audit request, Spectrum provided no support documentation as requested or required when an audit request is presented. No one from the board attended the audit, and when Spectrum was asked questions by the two property owners who physically went to do the audit at Spectrum’s offices, Spectrum referred to their computers to provide answers but did not provide paperwork requested nor an ability to review any documents independently. It was not until a further formal request was made by an attorney retained by the property owner seeking the audit and a concerned group of property owners that the audit details actually in possession now were released, even though they had been paid for previously. The board did meet with the individual property owner who requested the initial audit, refusing to allow any other property owner to attend this meeting with that property owner even though that request was made, and while there was cordial conversation and exchange of information, nothing substantial has resulted except more questions. This meeting occurred approximately 6 weeks ago, allowing ample time for the remaining questions to be responded to and remainder of the paperwork requested sent (most of those items presented in Installment #1 and #2) –it hasn’t happened yet. In this installment of information to property owners, additional support information is provided below showing examples of potential conflict of interest and conflict with our HOA by-laws. If you would like to review a full copy of our HOA by-laws visit the Spectrum website and click on their documents tab to see our by-laws document posted. Since entering into the agreement with Spectrum in 2011, it is believed the board has been in conflict/breach of our HOA by-laws. There are currently two high level officers of Spectrum who are property owners and reside in Timberwood Park. Both high level officers of Spectrum purchased and began living here prior to the turnover in 2011 and prior to the signing of the agreement by the board to bring Spectrum on as our property manager. If the by-laws had been fully read and discussed by our board, this contract should never have been consummated according to Section 2, page 11, Management. In bringing this potential conflict to the attention of the board during the meeting held following the audit, the board made comment that they felt that it was helpful to have high level management of Spectrum owning and living in Timberwood because they could reach out to these Spectrum high level officers of the company thereby receiving answers to questions faster using these individuals living in the neighborhood. While this may be the reasoning for the board’s response, as a client of any management company, whether it is Spectrum or not, our HOA board should be able to receive timely answers from anyone working for the management company upon request. A second comment made by the board was if the by-laws were amended it would look as if the board was trying to hide something. Probably an accurate comment, but that again does not change the fact that under our current by-laws it is a potential by-law violation which the board should have known existed if they had made themselves familiar with the by-laws when they took their oaths of office. The Spectrum contract automatically renews each year. To our knowledge and that of Spectrum management the contract has not been reviewed by the board since its original inception with the turnover board in 2011. This can be validated by the fact that the signed contract holds the original president’s signature and the 2011 date signed, no amendments or changes made. Membership. There shall be one class of membership. There is one class of membership – those property owners who pay an assessment fee under the restrictions. The Villas owners pay the same assessment fee under the restrictions that all Timberwood Park Property Owners pay. Additionally, they also pay a separate fee to a Villas HOA which was set up with the specific intent of managing their unique self-contained community septic system and some unique common areas expenses for those homes. 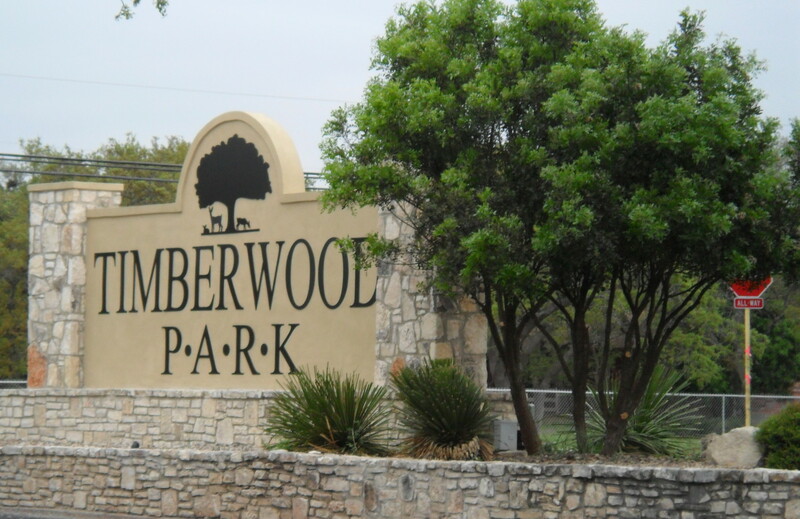 The community septic system has an operator and other specific needs to maintain it to TCEQ and SAWS standards which made it necessary for the Villas to be assessed an additional fee to own in that section of Timberwood Park. The Villas units are shown as a part of our Master Timberwood Park Plan. They are not a separate development, are not separated by private roads, nor gated community and TPOA HOA pays the street light fees for that area of Timberwood Park just as they do for all the other common area lighting in the neighborhood, a fact additionally uncovered in the audit. We believe the assessment fee the Villas owners pay to the TPOA account entitles them to actively participate in and vote in all matters brought before property owners, to include elections, as they are bound by the same restrictive covenant requiring payment of the assessment fee as the rest of us. This last electoral cycle Villas ballots were thrown out by Spectrum as invalid even though they had been submitted by proxy or absentee ballot. Spectrum also manages the Villas HOA as well as collection of the fees to TPOA from the Villas. Because of this inquiry and concern, we were provided the recorded deed restrictions for units 47, 48 and 49 (the Villas) by the board, but nowhere in those deed restrictions (units 47, 48, and 49) does it say the villas owners are not eligible to participate in the TPOA nor ineligible to vote. Their restrictions do say they are bound by the same requirement we are to pay the same assessments fees for the operation and maintenance of our park and common areas in Timberwood Park which is what makes us all members of the TPOA according to our by-laws. Why aren’t they able to participate? We’ve asked the board for any further documentation which exists denying them the same rights, but to date have received no response back nor any further documentation. Installment #4 will follow soon for you, the property owners of Timberwood Park to consider. Come to the August HOA board meeting! Ask Questions! In the first installment of “What Property Owners Need to Know”, property owners were given factual 1099 numbers for the years 2014, 2015 and 2016 for dollars paid to Spectrum Property Management. The board has since given you, the property owner, a response in our July newsletter which “moves” the numbers around into different categories they indicate make up the totals and explain why the numbers are not reflected properly on the HOA financial statements presented to property owners. Those “movements of dollars” do not refute the fact that the property owners of Timberwood Park have been paying far more than what is outlined as our general fee for Spectrum Property Management to manage our development. Whether Spectrum’s fees were an accumulation of assessment fees paid by property owners, collection fees paid by property owners, fining fees paid by property owners, or some other combination of funds paid by property owners, the accumulated number which shows up on the 1099 is in fact the actual number that went to the IRS for processing of income paid to Spectrum Property Management by TPOA. 1099s are reflective of income received, not how the numbers get allocated which occur on the tax returns associated with those 1099s. No matter how you slice it, a 1099 is an accounting of all income paid to a contractor for services rendered. What that contractor does to offset income with expenses, etc. on their tax returns is irrelevant to what was paid by TPOA to that contractor. The HOA board has stated the additional money paid Spectrum comes from pass thru expenses for supplies and maintenance. However, the HOA board purchases supplies from other vendors. Who decides what supplies are purchased? How are they identified and why are supplies purchased as a direct expense and as a pass through? The board has further stated that communication sanctioned solely by the board is the only accurate means of receiving information about the neighborhood and other means which exist in the neighborhood should not be trusted. I believe you each can determine whether you are receiving factual information from any and/or all the resources out there, including this one, and make your own determination about validity of that information in forming your own decisions about the HOA, our neighborhood and its management. A 2 – year pool-pass for sponsorship – MJ Septic. The HOA paid MJ Septic, a property owner in Timberwood Park, $46,000 +/- for a new septic system in the park plus gave them a 2-year family pass to our community pool in exchange for MJ sponsoring 2 Music in the Park events. This was part of a second proposal for the septic work and appears in writing on the proposal. Why? Is it common practice to award paid contractors’ extra benefits for work provided to the neighborhood for which they are already paid? Pool Supplies vs. Pool Maintenance Contract – why are they separated when they are from the same company and why do we also buy pool supplies from Amazon? Debit Cards. Who on the board, Spectrum, and/or the park property manager, has debit cards and to which accounts do they have access? Did you know the HOA has an Amazon Prime Account? There are many benefits to being a Prime Member. Who is receiving these benefits? The audit was unable to obtain login access to determine who is benefiting from this membership account; however, the implication during the meeting held with the board was the Prime account is managed by the caretakers. Write off settlements appear regularly on our financials. While we receive a cash on hand statement at the bi-monthly meetings as a point of reference for our operational strength and announced by our treasurer, we, the property owners, have not seen full financials for several meetings now. If you look at the April financials which are posted on Spectrum’s website, you will see that almost $14,000.00 was written off in bad debt. Uncollectible assessment accounts? Collection fees, fine income through April 2017 on the financials appears at $29,000.00 +/- for this year alone. Who receives these fees? Entries show beer being purchased for closed board meetings. Why is the HOA paying for alcoholic beverages to be purchased for closed board meetings (executive sessions)? While the overall amount may be a small percentage of total expenses, it is the perception that the HOA board can operate without recourse. Likewise, entries show beer and food is being purchased for band performers. The Music in the Park contracts specifically detail that sodas and water will be the only items provided to the performers per contract. The board’s justification was that providing the bands with food and alcohol built a better business relationship and in their opinion the HOA received lower costs from the performers. However, reviewing the contracts thru the audit years, the cost of performers remained the same. The concern here is liability. What happens if one of the performers has an accident under the influence and it is traced back to the HOA? Extensive, repetitive gas receipts on the same day for several vehicles or pieces of equipment. Gas which is not credited to GMC truck (the only truck which the HOA owns) should be identified as to equipment or other vehicle being provided fuel. Who was cash for parking attendants paid to on 10/31/32014? Financial records should identify this expenditure properly. ATM balance inquiries with fees attached…why was that necessary? Who on the board or otherwise can check bank balances? From the General Ledger – 8/17/15 $319.00 for Music in the Park T-shirts – There were only 18 shirts purchased. When asked at the meeting who received these t-shirts, the answer was not specific, some were given away to “staff” and some sold. The number sold and for what amount was not provided. Wells Fargo reimbursement for inadvertent Costco Cash withdrawal 8/28/15 $60.00. Who withdrew the cash and was this the only incident? Costco membership – who controls and has access to purchase under TPOA? Since we have this membership why isn’t the HOA purchasing our office supplies, cleaning supplies, drinks, bottled water, etc. in bulk through this membership rather than purchasing through Amazon, Shell, Big’s, CVS and many other general ledger entries which depict “supplies” purchases? Why is there a gap on the General Ledger provided between pages 23 and then continuing page 478? In other words, pages 24-477 are not included in the document provided as part of the audit. Explain why 400+ pages were not sent with the audit materials. Thompson Print Solutions for t-shirts $418.93 – 11/23/15– where are the t-shirts and who were they purchased for? Amazon prime tips? What are these for? Who received them? Where are the 1099s for the bands who were paid more than $600.00 in one calendar year? 1099s were requested for all vendors and contractors for the years 2014, 2015 and 2016. Write off requested by CM – who is CM? Why was a write off provided as a one-time courtesy? Who makes this decision? What relationship does the person making the decision have with the board? What are multiple error fees in the amount of $40.00 for? Request was made to provide detail on checks paid to any board member outlining the expense being reimbursed and a copy of the check was requested. None has been provided thus far. Examples: $260.00 appears several times on the ledger, $1,000+ and several others? Why does gate key income vary from $15-50? Is there not a standard fee? Do some individuals receive different rates? From the general ledger – What is Blanco Road Apt 2 which is listed on many entries for the SAWS bills? What are the welcome packets and who receives them? What are site management letter fees for? As you may have surmised by reading these highlights, there are considerable questions which remain unanswered and while the board has met with the individual who asked for the original audit, there has been little or no movement to correct or explain much of what has been presented. The list submitted for clarification was much larger. To trim the size of the blog down to a more readable format, we selected some of the top issues we noted during the audit to publish to the neighborhood. Again, does this show good stewardship of our funds and management of our development by our HOA Board?